Sega has announced a June 10th release date for the Sega Vintage Collection #2 on Xbox Live Arcade. The collection includes Gunstar Heroes. 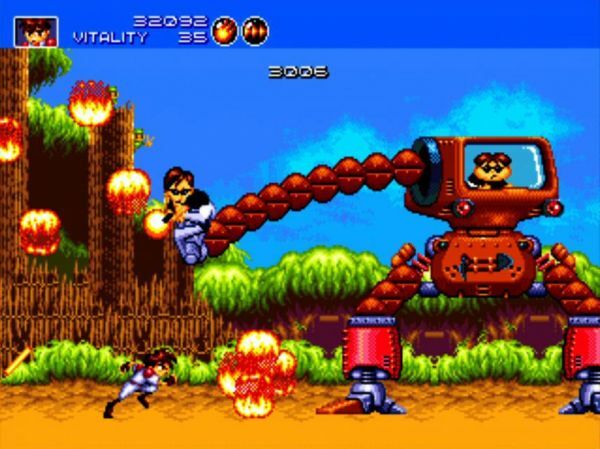 They've also announced that Gunstar Heroes will be available on the PlayStation Network on June 11th. Gunstar Heroes supports two player local and online co-op. To celebrate the launch Sega has released a new trailer for the Vintage Collection #2 which showcases a bunch of titles including my personal all time favorite RPG, Phantasy Star 2. There's no word on the pricing of either of these.